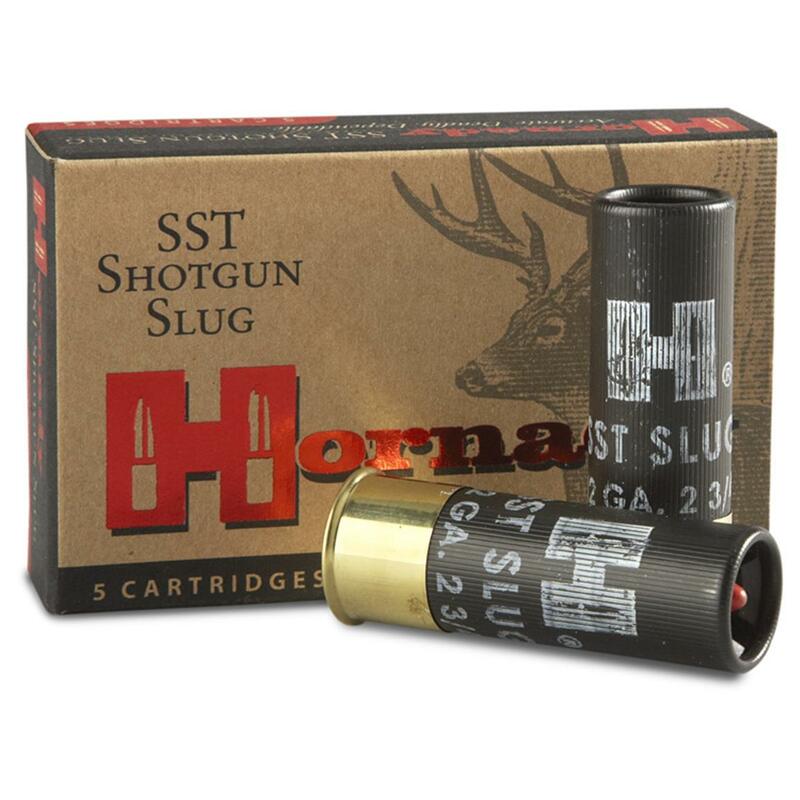 Hornady SST Slug, 12 Gauge, 2 3/4 , FTX, 300 Grain, 5 Rounds is rated 4.8 out of 5 by 35. Rated 3 out of 5 by Happyashell from Don't shoot consistently accurate in my Mossberg barrel. Man do they hit hard. Rated 5 out of 5 by BullDown from Elk dead too! 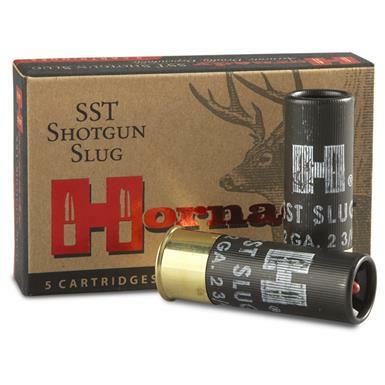 Threw away everything I thought I knew about hunting when my neighbor shot a six-point bull with 20-gauge hornady slugs at 157 yards on my property. Bull walked a few steps, then lay down to die. Made me a convert on the spot, and this is all I will shoot going forward. 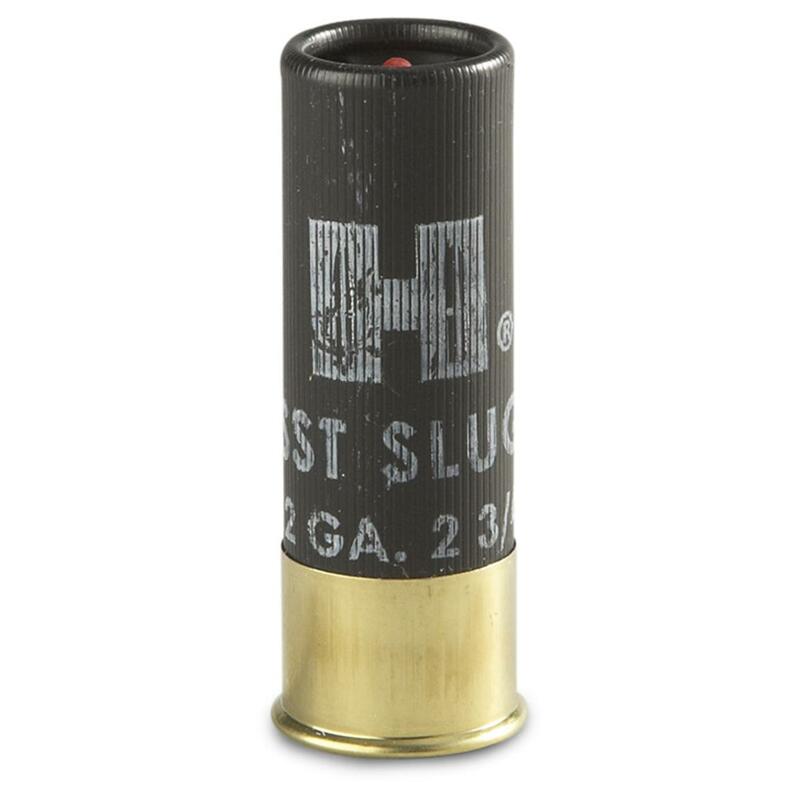 Rated 5 out of 5 by Huntingvet from GREATEST HEAVY COVER ROUND EXTENT I have been using this round for several years out of a Mossberg 835 w/scoped, 24" slug barrel. At least a dozen Deer and several Hogs have been taken and none had to be tracked. All fell within sight. My farm is heavily wooded and just last year I killed a Buck at about 50 yards - after the shot I realized the round had penetrated a hardwood branch, about 2" diameter, at about 10 yards from the muzzle. It had virtually no affect on the shot placement. This is my go-to for hunting in heavy cover and I just don't worry about branches, etc.. I added an aftermarket tac stock that has a recoil buffer and premium recoil pad that tamed the felt recoil - an issue w/factory stock. The new stock allowed me to adjust the comb in order to improve cheek weld and sight picture in the scope. I often practice past 100 yards and groups are usually <2"! Impossible w/factory stock due to recoil. Rated 5 out of 5 by Urban Snipe from Consistancy These seem a bit expensive at first but when compared to other sabots they are very reasonable. The consistency of these sabots is very impressive. I was able to shoot >3" groups at 100 yards with a Mossberg Shotgun. Hoping to see how they perform at 200, 300, and 400 yards this weekend. Rated 5 out of 5 by Golfer656 from A Real Killet Dropped a huge buck the first morning g of gun season in Ohio. The deer dropped dead in his tracks. These sabots are the real deal. Rated 5 out of 5 by Bud111 from great price I've been shooting these for years and am very pleased with them. Fiocchi, Nickel-plated, 12 Gauge, 2 3/4" 9-pellet, No.